On behalf of the Secretariat, I am honored to invite you to the sixth annual Crisis at Carnegie Mellon conference. With each passing iteration of C@CM, we gain new insight and valuable feedback that allow us to make each conference better than the last, and this year’s conference will be no exception. We are now at a time where globalism and international policy are at the forefront of our everyday lives. More than ever, it is imperative that we remain aware of the ever-changing world around us through the active pursuit of knowledge, new experiences, and unlikely friends. We believe that there is no better way to accomplish these pursuits than through Model UN, and we have crafted our committees towards this end. Our staff has worked long and hard to devise an experience that will provide valuable skills, make you think critically, and give you an opportunity to be creative and have fun. Regardless of what path you choose to take, we hope that your time at C@CM will allow you to recognize yourself as a member of the international community so that you may forge a brighter future for the next generation of Model UN enthusiasts. We greatly thank you for your interest in C@CM and please do not hesitate to reach out to us at crisisatcarnegiemellon@gmail.com for any questions, comments or concerns. C@CM is a unique conference that gives high school students the opportunity to participate in not only traditional Model United Nations committees but also in crisis committees. Delegates will be able to practice the core values and procedure of the UN in the traditional MUN committee setting or be enriched with the innovative and dynamic setting of Crisis Committees. We strive to engage students in debate and cooperation to promote the art of diplomacy and delegation, with our own special twist. United by blood, but driven apart by war: the Kauravas and Pandavas were two groups of cousins who engaged in a violent struggle for control over Kuru, an ancient Vedic kingdom in northern India. 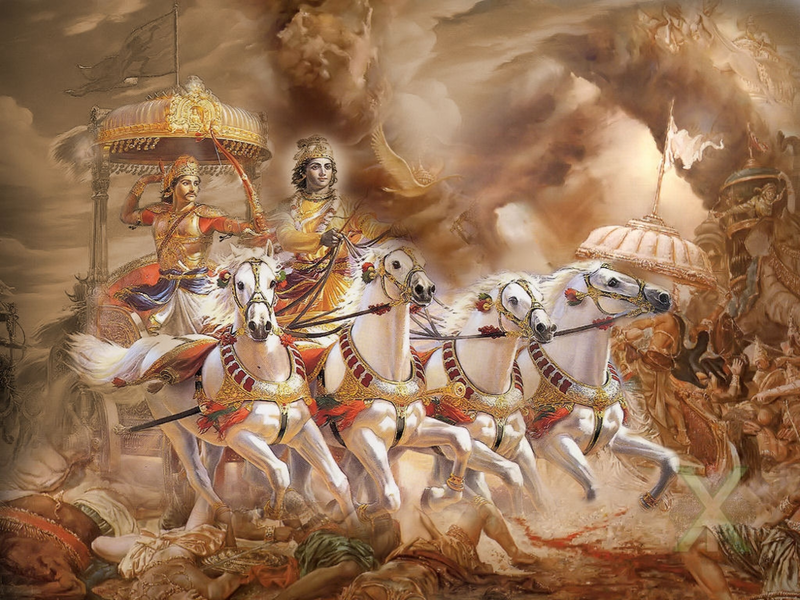 The 18-day strife, named after the battleground Kurukshetra, is depicted in extensive detail in the Indian epic Mahabharata. But now history is in your hands. As members of either the Kauravas or Pandavas armies, how will you capitalize on your resources and form alliances to ensure that your family is the one to capture the throne? The unthinkable has occurred, and for the first time since 1945, nuclear weapons have been used in a war. India and Pakistan both claim the other fired first, and both are pressuring allies another other nuclear powers to take their side. In the meantime, a potential nuclear winter threatens the lives of billions around the world. Faced with a simultaneous geopolitical disaster and humanitarian crisis, the United Nations Security council has called an unprecedented meeting and the World Health Organization has been granted emergency powers. These two groups must work together to act quickly and decisively to end the crisis, but their priorities may not be in the same place. The Commonwealth has no legal heir and the Sejm must decide on who will be the leader of the union between Poland and Lithuania. It seems that John Casimir is the front runner, but we can never be too sure, and the stability and power Poland once was proud hangs in the balance. Whoever runs this commonwealth will have to deal with some very angry Cossacks, an oncoming Ottoman Empire, envious Muscovites, and a Swedish Crown that the previous King once claimed but never gained. The szlachta also foam at the mouth to consolidate their power at the expense of the nation. The Commonwealth is in crisis, an unrighted ship that if not steadied will sink to the depths of insignificance. Experience the chaos of life as an Ancient Greek god, staking your claim on Mount Olympus. This committee will feature a sampling of events inspired by Ancient Greek mythology, with delegates assuming the role of the famous deities themselves. Challenges will appear as internal power struggles, and even contention with the oldest enemies of the gods. Friend or foe is not always clear, and the mortals below can both confound and assist your plans. But one thing is clear, the worlds of both mortal and immortal hang in the balance.